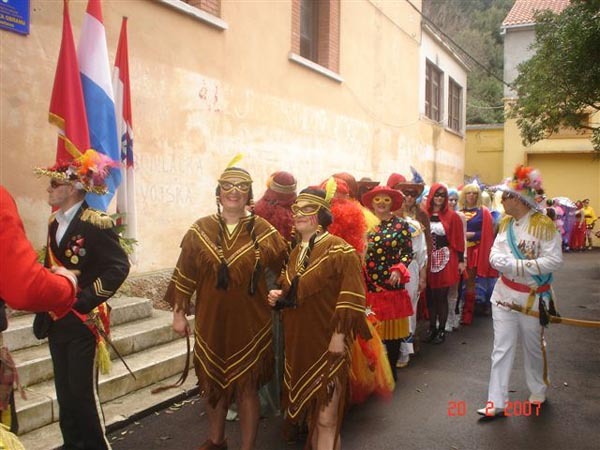 Lastovo Carnival is a centuries old tradition. It was first mentioned in 1390, in The Statute of Lastovo, one of the oldest in Europe, as a „Carnevale“ – time for fun, relaxation and escape from everyday life. We can say, with pride, that we have one of the oldest carnivals in this area, and we are aware of our obligation to nurture, enrich and pass it on to future generations. 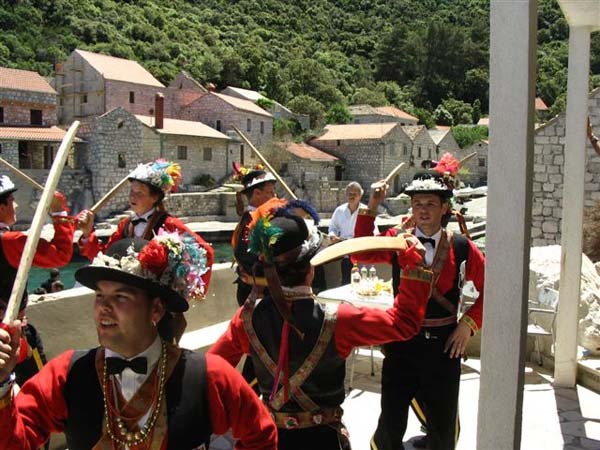 A legend says that Lastovo Carnival is celebrated in memory of an old historic event when Catalan pirates attacked neighboring Korčula and sent a messenger to Lastovo with a request to surrender. Instead of surrendering, the inhabitants of Lastovo armed themselves and attacked. Women and children prayed to Sv. Jure for help and the help came in form of a storm which destroyed the Catalan fleet on its way to Lastovo. Later the islanders captured the messenger, took him through the village on a donkey to mock him, and let him down 300 meters of rope before they set him on fire. One of the first written evidences dates back to 1747, when the duke of Dubrovnik, Ivan Franjo Sorgona, wrote one poem about the Carnival of Lastovo. This event is celebrated as the Carnival every year over a period of three days. 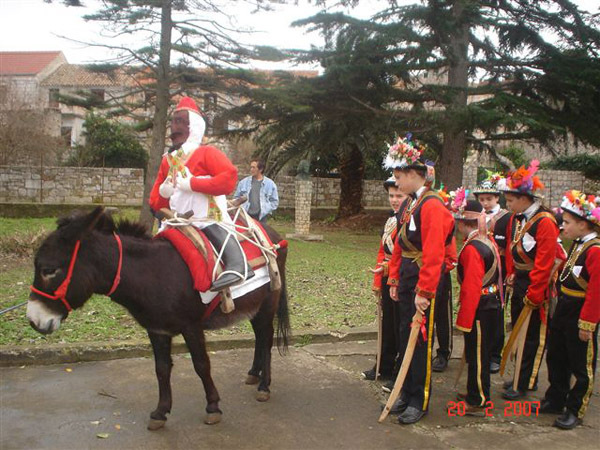 Locals enjoy this event very much and islanders from all around Croatia return to Lastovo to attend the carnival.